Apple has been awarded a patent for a new technology that would enable low-powered devices to be charged wirelessly. The patent application, which was originally filed in 2012, explains how with computer peripherals like keyboards and mice could be charged using near field magnetic resonance (NFMR) sent from a central unit. Apple says a "charging region" of around one metre, could be created around a computer, from which trace amounts of electricity could be send to a number of surrounding devices in order to keep them charged. The parent reads: "In this way, a charging region can be formed around the computer in which the peripheral device (or any other appropriately configured device) can wirelessly receive useful amounts of power from the power supply." 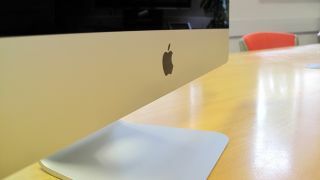 The charging region could be fitted within desktops, laptops and tablets, according to Apple, but could also take the form of a dongle so the technology could be added to older devices. The NFMR innovation could conceivably allow Apple to eventually ditch mice and batteries within its computer accessories altogether, in favour of "small form factor wireless power units." Although it cannot extend to charging iOS devices, this particular wireless charging breakthrough is significant because it does not require the device to be in contact with the power source. Tech like the Duracell Powermat requires devices to be resting on its surface in order to charge up devices.